Are You Under Performing in Games? 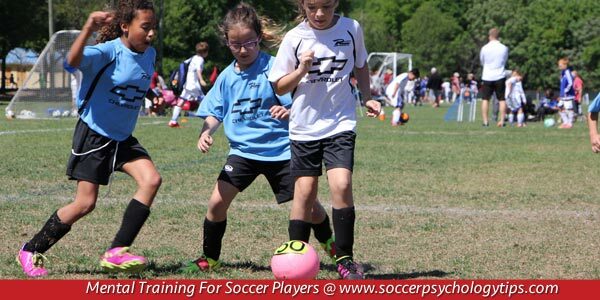 Do you have trouble performing as well in games as you do in practice? Are you losing to teams who you should beat? Or, do you get so frustrated after mistakes and lose focus for the next few plays? 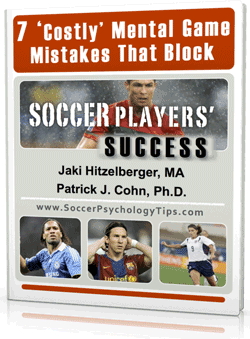 Many soccer players have asked us help them solve these mental game issues. And we’re on a mission to do this…. 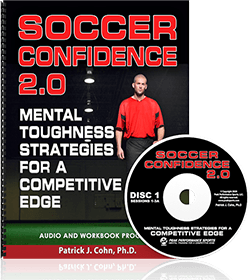 If you are not playing at your highest level in competition, your mental game is getting in the way of peak performance..
Knowing this is the easy part… The hard part is trying to find out how your mental game is misfiring. Get this: If you are not getting it done in games, you’re probably stuck in old, ineffective ways of thinking that hold you back. To play to your potential in games, you must first understand how your mindset limits your game. 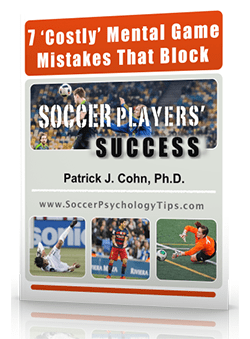 You’ll learn the top eight mental game lessons for soccer players – the same lessons we teach our athletes in our one-on-one mental coaching progams.